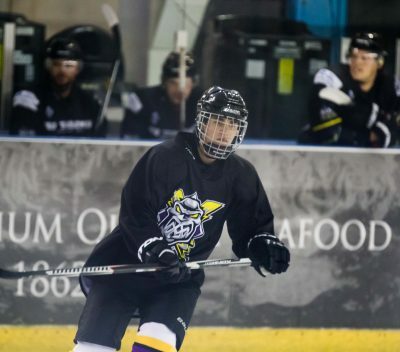 Last week, as part of his UK tour, Justin Bieber took some time out in Manchester to skate with Manchester Storm Ice Hockey, a team Sykes proudly sponsors. Justin, who was apparently a natural on the ice, enjoyed some downtime with the team and even visited the pub afterwards for a drink. The photo proudly being displayed across the internet of Bieber on the ice, features our very own Arctic Royal rink side board! Together, the relationship between Sykes and Storm continues to grow with the prospect of a ‘Sykes Seafoods’ night being hosted at the Silver Blades rink during an up and coming home match.